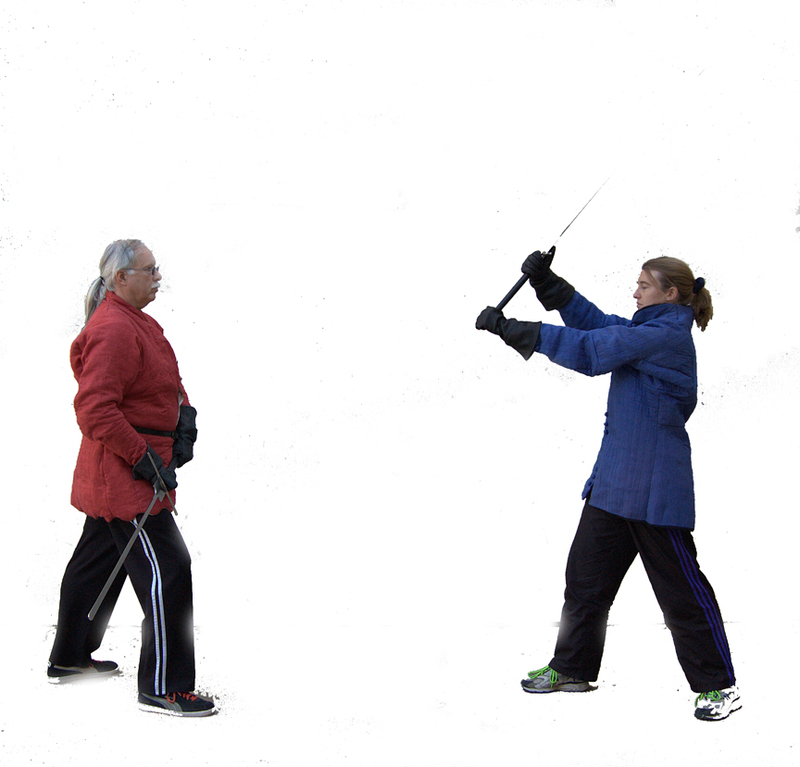 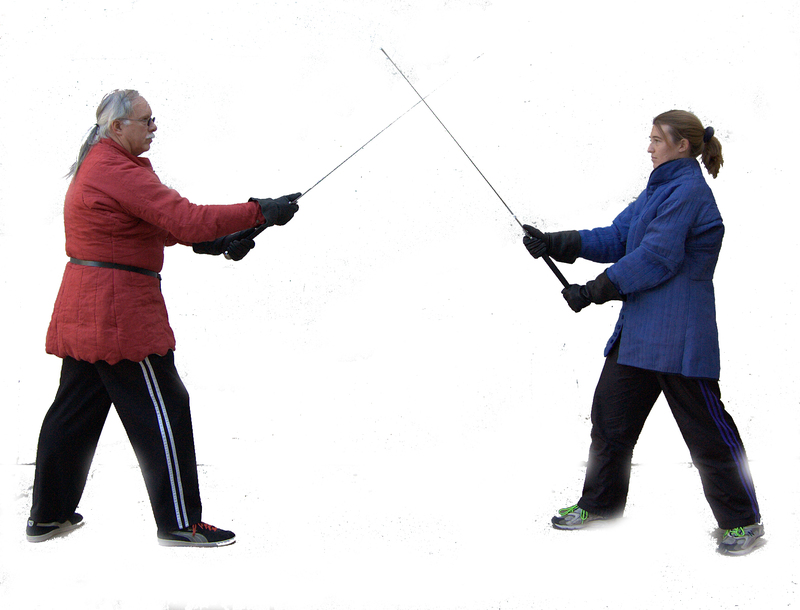 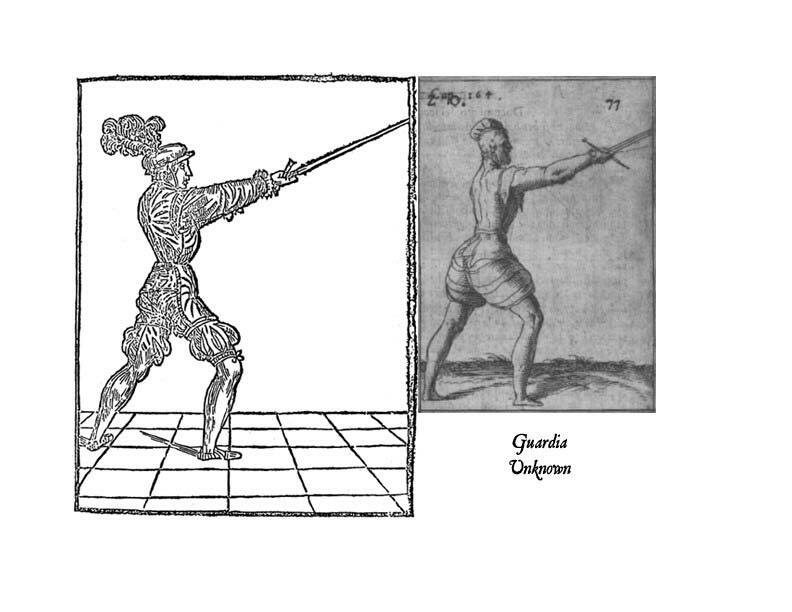 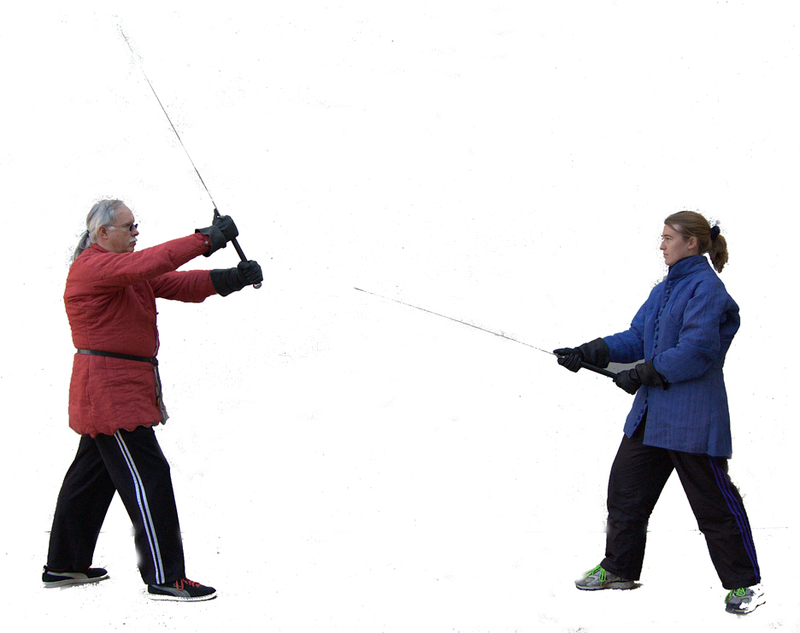 As with the edge sword (sidesword), in order to understand Marozzo's theory it is necessary to learn the guards. 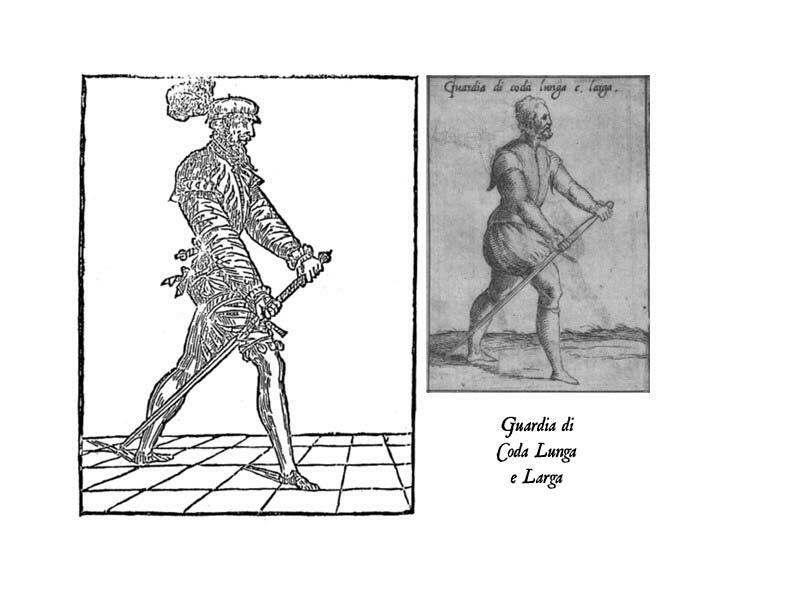 My thanks to Tom Leoni for assembling the paired images from two different editions of Marozzo's book. 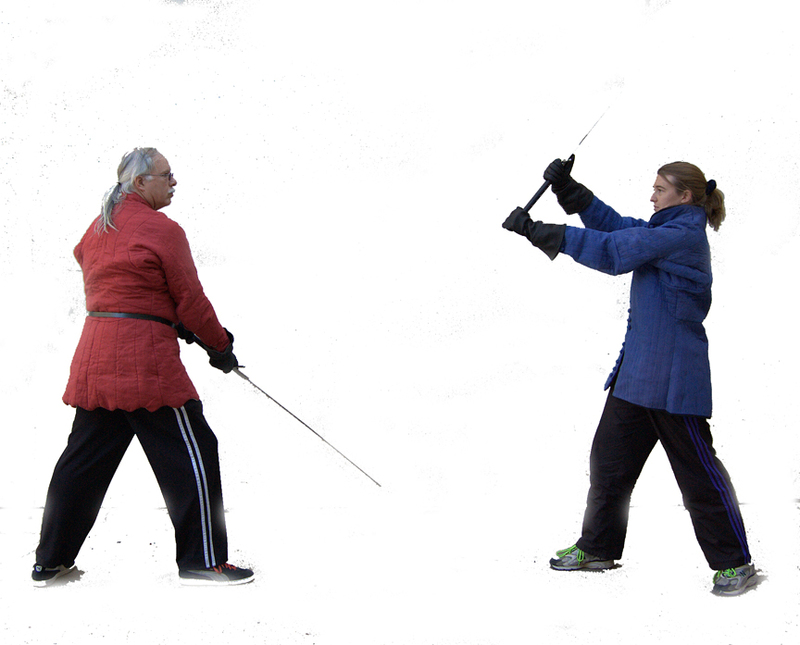 The following is a list of the guards that I have taken photos of to date. 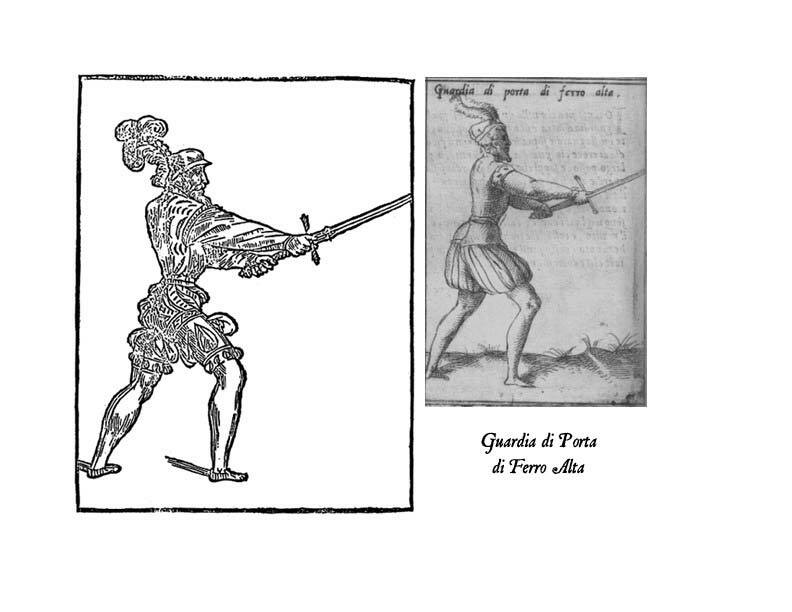 Porta di ferro e alta as shown in the "unknown" guard image, Capitula 164. 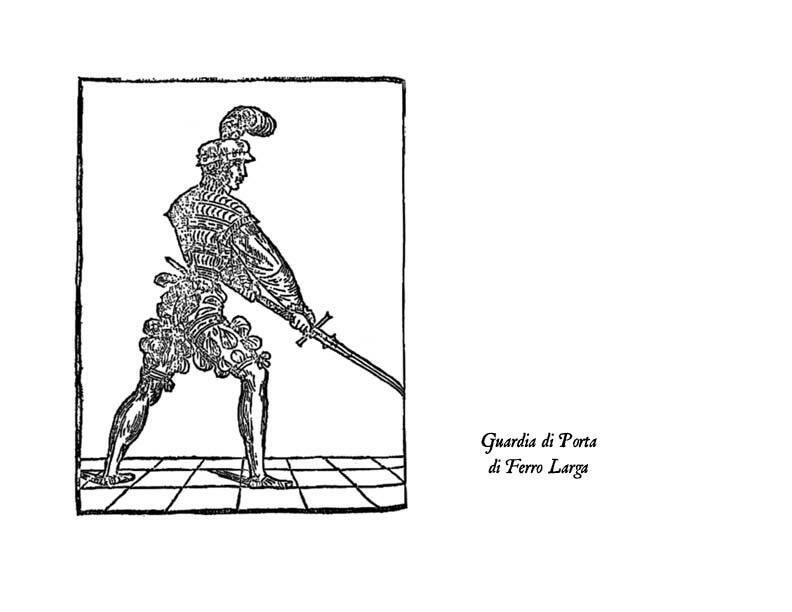 In the image from the text the arms are extended more. 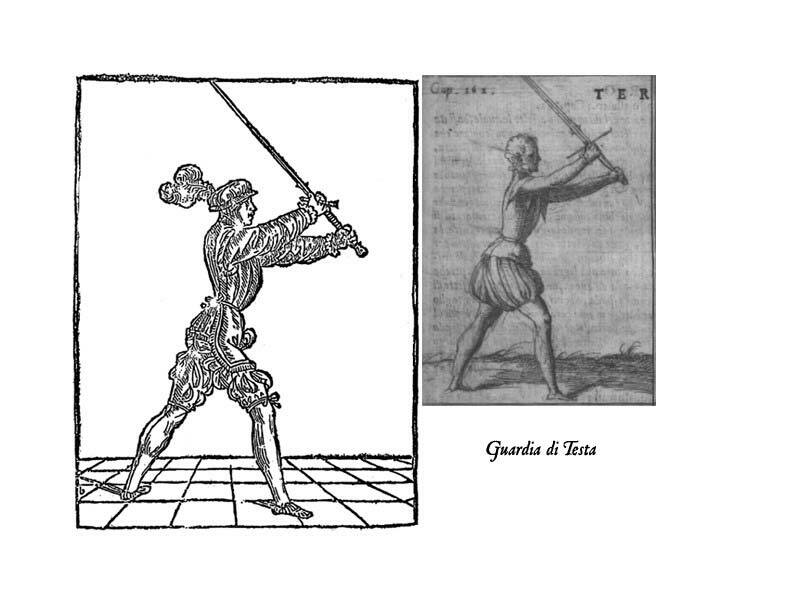 The image shows a more relaxed position.